Pope Francis has approved a new set of laws concerning the structure and governance of Vatican City State in an effort to simplify its many offices and activities and to boost oversight, transparency and budgetary controls. Source: CNS. The measures, issued motu proprio (on the Pope’s own accord), were published yesterday. In his letter, the Pope said the reorganisation was necessary to make it “suitable to current needs” while ensuring its mission to serve him and the specific aims of the departments and activities within Vatican City State. Francis approved the legislation that had been drafted by a working commission headed by Cardinal Giuseppe Bertello, president of the governing office of Vatican City State. The new laws will go into effect June 7 and fully replace the laws approved by St John Paul II’s motu proprio in 2002. While most of the new laws reorganises existing offices and departments, it “suppresses,” that is, eliminates from its jurisdiction, the Pilgrim and Tourist Office, and it allows the Vatican pharmacy — run by the Brothers of the Hospitaller Order of St John of God — to maintain its “technical and administrative autonomy”. The new laws aims for greater transparency with the creation of an oversight and inspection body. “This new position will have the specific tasks of verifying that the norms, procedures and evaluation of cost-effectiveness and efficacies are being observed” within the different departments and offices, said a note accompanying the new laws. 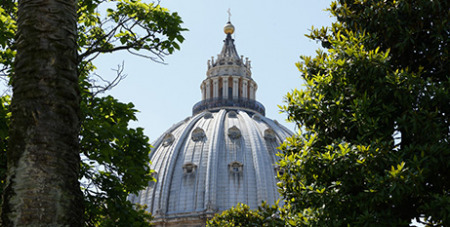 According to the legislation, the organisational structure of the governorate will remain substantially unchanged, yet will have greater responsibility in supervising the offices in Vatican City State.